Two events in one! Taste of Nuevo features dozens of local restaurants serving tastes of their best dishes. The Great Chili Cook-off features anyone who wants to show off their own chili recipes, and their costumes! All proceeds go to Toys for Tots and the Cleft Palate Program. There will be live music, great food and drink! It all started 18 years ago ... the first ever Great Chili Cook-Off. Now it's bigger and better. 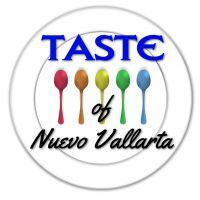 Not just chili, but Taste of Nuevo too! 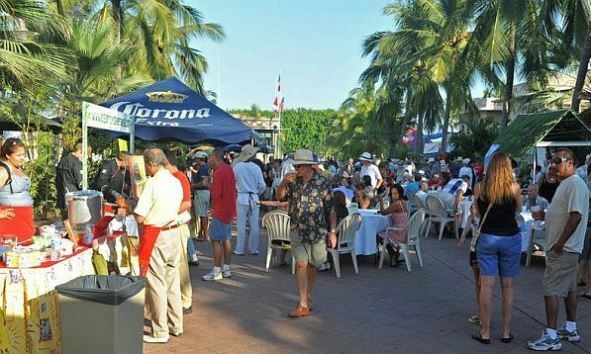 The Marina Nuevo Vallarta Malecón will be the site of the fourth Taste of Nuevo Vallarta and 18th Annual Chili Cook-Off, hosted by the Vallarta Yacht Club. Exhibitors are encouraged to sign up now. This is one of the first opportunities of the season to expose your restaurant to hundreds of tourists and local residents. Net proceeds will go to charity, evenly split between the International Friendship Club's Cleft Palate Program and the Vallarta Navy League's Toys for Tots. Attendees may purchase sample tickets. Each ticket will allow a "sample" of any of the food offered. The tickets may also be used to purchase bottled water, soda, beer, wine and Margaritas. Music will be provided. Parking will be available at Marina Nuevo Vallarta and water taxis will be available from the Vallarta Yacht Club and Paradise Village.